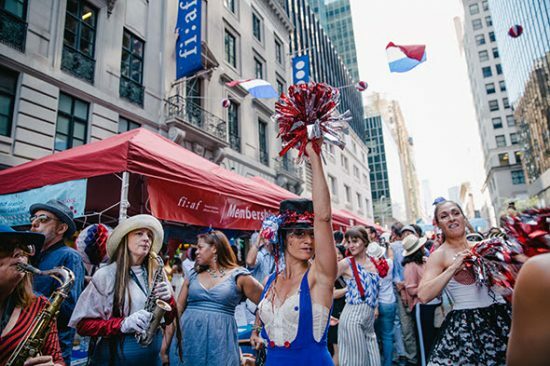 On Sunday, July 15th we are celebrating everything from the French red, white and blue near 60th Street between 5th and Lexington Avenues with The French Institute Alliance Française. Following are several insider tips for this event on Bastille Day. 5). There will be a free screening of The World Cup in FIAF Florence Gould Hall at 55 East 59th Street at 11am. It’s a 361-seat theatre to catch the popular end of the games. 4). Who doesn’t like French cuisine? Join the festivities in the FIAF Skyroom. The production will feature Pol Roger, Ayala, Champagne Delamotte, and Besserat de Bellefon, as well as sparkling cocktails courtesy of Grand Marnier with treats from Maman Bakery and Voilà Chocolat. Check out Café Macaron, Dominique Ansel Kitchen, Epicerie Boulud, Le Souk and Le Bec Fin. 3). Family: There will be many activities for kids and parents including dancing and sing-alongs with Jacques & Marie’s Paris Swing Band as well as jazz singer Chloé Perrier who will sing French tunes and songs attributed to their adopted country, America. 2). Fashion & Food: More than 80 booths showcasing the best of French food and Francophile culture will line the streets: Jewelry, clothing, local and foreign artists will display their creations and crafts. 1). The French gave us The Statue of Liberty as well as many distinct contributions to America apart from the crepe, croissant and the can-can. 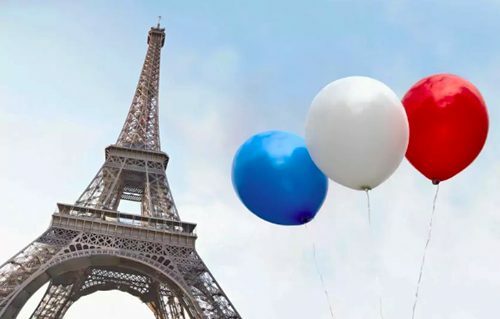 Bastille Day is the time to reciprocate with a French kiss: Take your family and friends to the festival next Sunday – it’s a family affair from 11:00 am until 5:00 pm.